Appearing for court is a daunting task. The outcome may seem to be uncertain. So it makes sense that not showing up at all would be tempting. There’s also actually many reasons people fail to appear that don’t even have anything to do with their prosecution. The truth is that if you do skip your court date, unless you’ve been charged with a very serious crime, you won’t be facing a nationwide manhunt like in the movies. But you should know that by failing to appear after posting bail you’re complicating your situation a lot. You may be facing additional charges and creating consequences for whoever posted your bail bond as well. So before bail jumping, know what you’re getting into. Read this explanation of what you should expect to happen. How are you Found Guilty of Bail Jumping? Failure to appear for your court date is only a crime if it can be proven that you were given the required notification. An acceptable notification may be just a letter in the mail. To be charged, your reason for missing it must also be considered insufficient or unsubstantiated. You will be responsible for proving that the circumstances preventing you from appearing in court were out of your control. There are examples of the defendant having difficulty proving this even when they have a legitimate reason for missing the court date. Courts are skeptical of the claim of illness or other excuses. Your defense can be made even more difficult if you fail to surrender to the authorities as soon as possible after that date as well. 30 days is often the maximum time allowed. What are the Legal Consequences of Bail Jumping? The penalties for bail jumping depend on the jurisdiction where the crime is being prosecuted. But we can discuss some of the possibilities of what will happen. A warrant for arrest means that the police will be notified and have the right to arrest you anywhere you are found. They may arrest you in any public or private place. The police might not actively search for you, but they will have your warrant in their computer system. So if you are stopped for a traffic violation, or if your information is checked in the case of any other incident, they will become aware of your warrant and likely arrest you. Once you have been arrested after bail jumping it is very unlikely that you’ll be given the opportunity to post bail again. You will have to spend time in jail until the court proceedings complete. In many states, failure to make a court appearance is its own crime. In some states, there is only one charge that can be issued for bail jumping. In others, there is a range of charges you could face. The charge for jumping bail on a class C misdemeanor can be different than with a class B or A. And the charge may be far more serious for bail jumping in the case of a felony. It is also possible to be charged with contempt of court for bail jumping. Any of these charges can result in additional sentences of jail time or fines. The purpose of setting bail is for greater assurance that the accused with show up for their court date. This is supposed to be effective because the money you have paid to be released during the trial process is only returned if you comply with the proceedings. Therefore, if you don’t show up, the bail money you have paid, or that has been paid on your behalf, will not be returned. This could have serious financial repercussions as we will discuss later. You should also keep in mind that it can help to stay on the judge’s good side. It’s always helpful for your judge to feel like you’re acting in good faith and working with the system. In some cases, when found guilty, the sentence can vary greatly depending on the discretion of the judge. This is when it’s especially important that the judge views you favorably. What Will the Bail Bond Company Do if You Jump Bail? Bail bond companies are here because many people (and their family or friends) are unable to pay their own bail. There are a lot of benefits to being granted bail. So the bail bond company can help out a great deal. 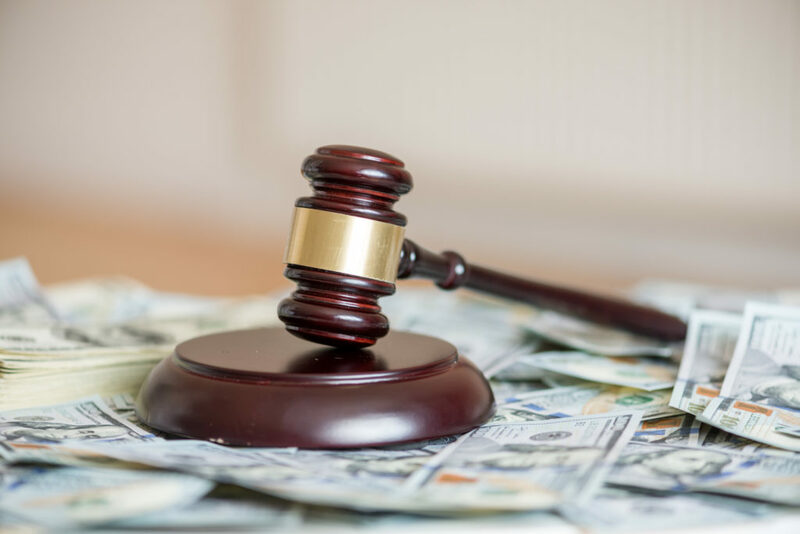 The bail bondsman will put up the money for your bail on the condition that you agree to appear in court and continue to follow all legal requirements. When working with a bail bond company, you or your family may have to offer collateral. This could be a car or some other valuable assets. After bail jumping, the bail bond company will not be able to be repaid by the court. The company may take different kinds of action to collect the money owed. Some companies have agents that take care of all interaction with the people who hire them. In some states, bail bond companies can hire bounty hunters to track down the people who owe them money if it’s necessary. Be aware that if your family members have hired a bail bond company you could be putting them at risk by bail jumping. Your family hired a bail bondsman because they are in a tight financial situation. The last thing you want to do is make their life more difficult with another financial burden. If you have posted bail you should understand the consequences of bail jumping. And do your best to take the right next steps. If you or anyone you know needs to consult someone about posting bail you can contact us. We offer a free consultation. Whether it is justified or not, watching your friend getting arrested or finding out after the fact can be stressful and confusing. But if you want to help your friend, it’s best not to let the confusion or stress get to you. Instead, there are 5 important steps you can follow to help your friend get free and start taking the necessary legal steps. Keep reading to learn those 5 steps and how you can use them to help your friend after an arrest. The worst thing you can do when your friend is getting arrested is panic. If you feel that your friend is being arrested unjustly, you might be tempted to argue with police. Even if you know the arrest is warranted, the adrenaline of the moment might have you raising your voice, getting aggressive, or otherwise acting out. But the only thing this type of reaction is going to do is cause more trouble for yourself and your friend. If the officer hasn’t actually decided to arrest your friend, causing a confrontation could turn a simple warning into something more serious. If he or she has started the arrest process, you could end up getting yourself in trouble with an obstruction of justice charge. Instead, stay as calm as possible throughout the situation. If possible, encourage your friend and anyone else involved to do the same. Answer the officer’s questions, stand to the side or wherever you’re instructed to, and wait until you’re addressed. Don’t flee the scene, as you’ll need to be around for the next step on this list. What happens after arrest will vary depending on the situation. But no matter what happens, it’s important for you to start getting as much information as possible. If you can, ask to talk with the officer or one of the officers at the scene. Ask questions about why your friend is being arrested, what happened to cause the arrest, and what happens after arrest in this situation. Ask these questions even if you’ve been with your friend the entire time. You’ll need to know what the officers think happened so that during the next steps on this list you can compare that information to what you know happened. If you can’t talk with an officer a the scene, you can visit the police station or ask for a phone number for the arresting officer. Once your friend has been taken to the police station, ask whether they may have been arrested but not booked. If they have, there may still be a chance of release without a charge. Besides asking questions both at the scene and after the arrest, you should also pay close attention to what is happening around you. Listen to the officer to see if he or she read your friend their rights when arrested. Note any aggressive behavior from the officer that you think might not have been justified. 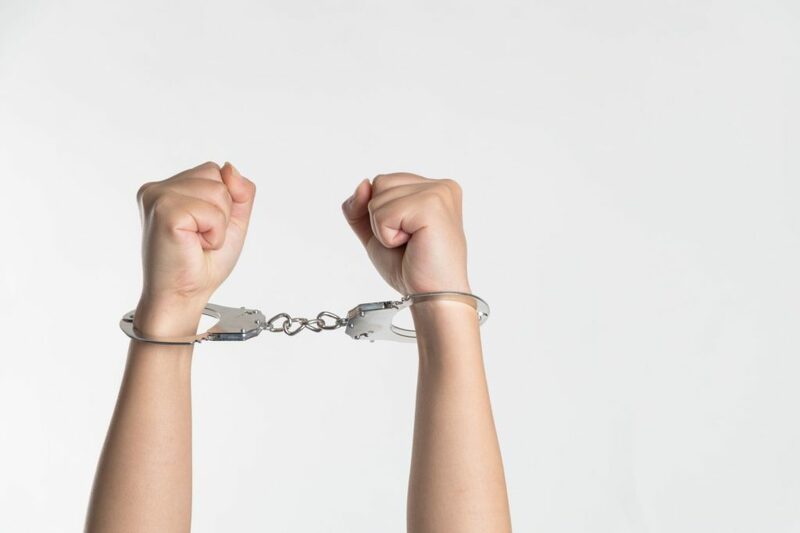 If you want to help your friend, the next step immediately after they are arrested and taken away from the scene is to contact a bail bondsman. A bail bondsman will help you navigate the process of posting bail for your friend to get them out of jail fast. If you can’t afford bail, a bondsman can help. But even if you afford the bail, it’s a good idea to work with a bondsman. They’ll have the knowledge and experience it takes to get your friend out as fast as possible so that you can start working to help them start preparing for what happens next. If the charges against your friend are serious, or you feel they are unjust, the next step towards helping them is to get a lawyer. A lawyer can help them navigate the charges against them and decide what they need to do next. If your friend is short on cash or confident that he or she has a good chance of fighting the charges against them, they can also choose to represent themselves. Just make sure that they understand exactly what they’re getting into before they make that choice. Once your friend has obtained a lawyer, they may not need additional help from you. But one last thing you can do for your friend is to offer your support. Fill in your friend and their lawyer on what you say, heard, and found out at the scene. This includes any details about the arrest, the answers you got from the officer, and even your own observations. If there were other witnesses at the scene, you might also provide names and contact information to the lawyer in case they need to use those witnesses in court. You might also be called as a witness. Another method of support you can offer your friend is emotional support. If you were there when the event that led to their arrest happened, you’ll be in the unique position to lend an ear to your friend and help them talk through exactly what went down. When your friend is getting arrested, it can be tempting to panic or even leave the scene entirely. But whether you are involved in the event that got them arrested or not, if you want to help your friend, there are several things you need to do. Stay on the scene and pay attention to everything that is happening. Talk with officers to find out what they think happened. Help your friend get out of jail by contacting a bondsman. Then, help them find a lawyer and offer your support to help as they begin the legal battle that follows every arrest. If your friend has been arrested, we can help. Once the smoke settles and your friend is charged, contact us to get your friend out of jail fast so that you can begin helping them fight their charges.